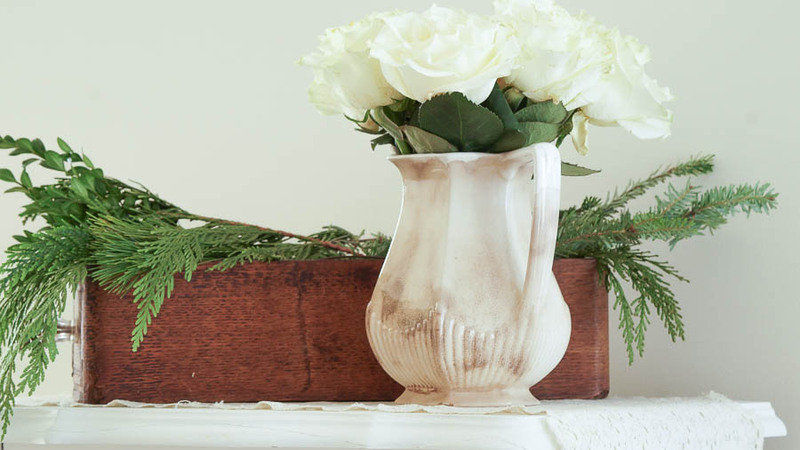 Today I am sharing my holiday master bedroom as part of the home for the holidays tour. Since I am a part of so many tours this year I have been sharing a room with each tour. For the past few years I have wanted a white tree in our bedroom. I found the perfect tree at Walmart! 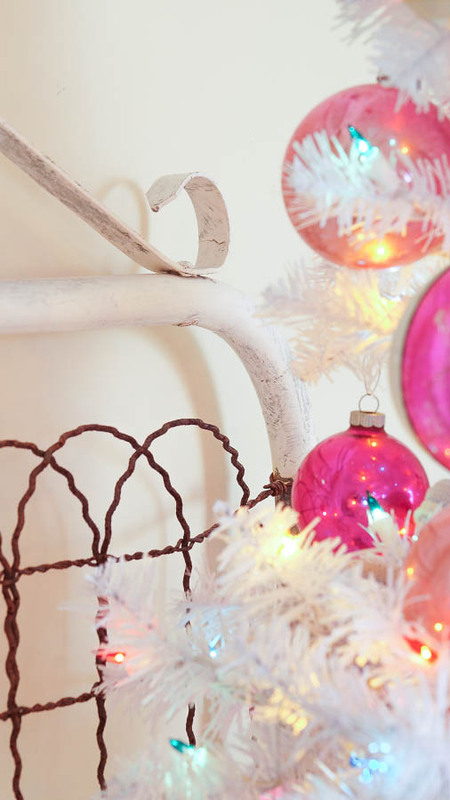 My vintage shabby ornaments look perfect on this white tree,and the lights are so pretty. They have a soft pastel color. Do you wrap your presents in a special spot of your home? I wrap gifts in our bedroom,I don’t know why but I always have. I guess it’s the only spot in our house where I can close the door and really have privacy. I kept my old garden gate on this wall,it makes the perfect backdrop for my tree. I made my tree skirt this year using a simply shabby chic sheet.this is a no sew sheet. More on this at the end of this post. I love the reflection in the mirror of my tree and the soft pretty lights. 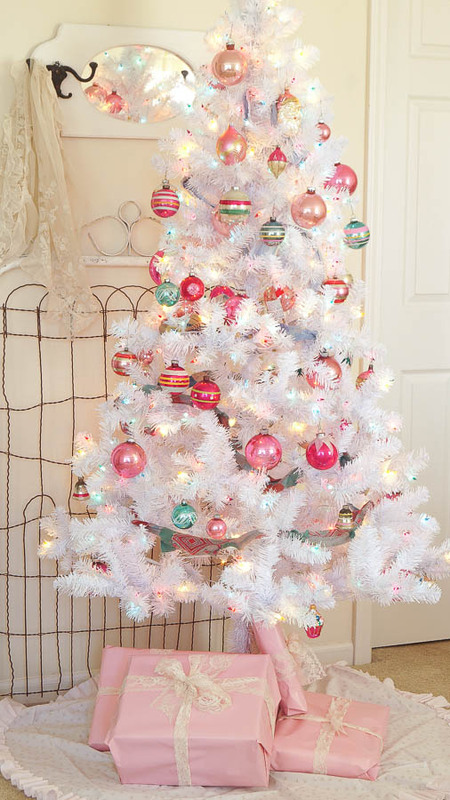 I have been enjoying this tree at night,it shimmers and lights up the room with a pretty soft glow. 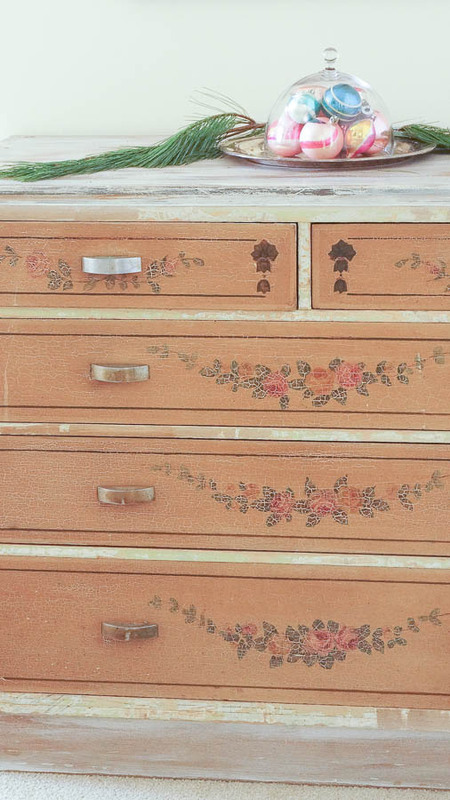 On my dresser I added some fresh rose’s and greens. 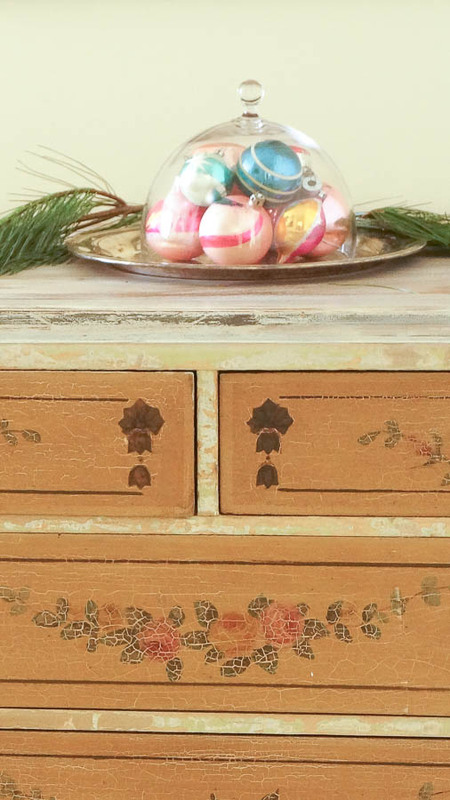 On one of my newest editions this gorgeous chippy dresser, I added this cloche filled with vintage ornaments,on top of a silver tray. One of my favorite projects this years was found in Jennifer Rizzo’s new book Creatively Christmas. 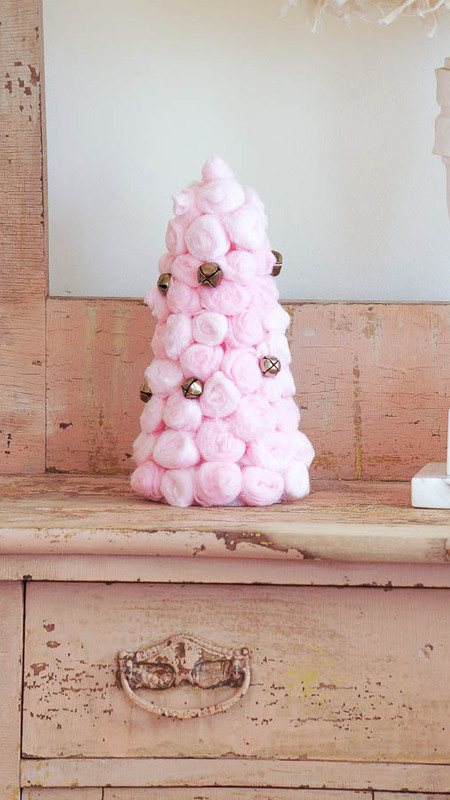 This was such an easy project,basically it’s pink cotton balls glued to a white styrofoam tree and I added a few bells. The Link To Follow Coming Soon…I am experiencing technical difficulties. 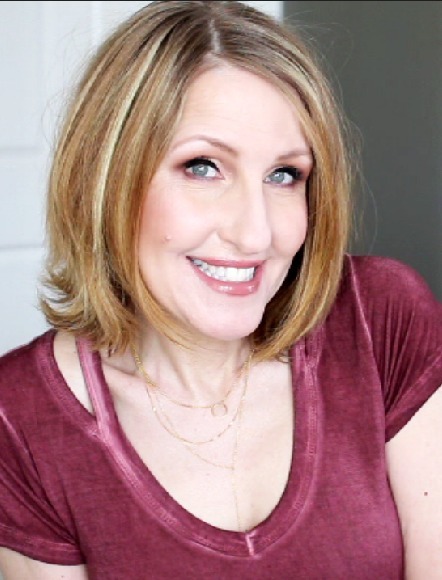 Please make sure to visit all the other beautiful blogs listed below,I know you will be inspired. And for the tutorial on how to make this Shabby Chic tree skirt visit My Repurposed Life HERE.